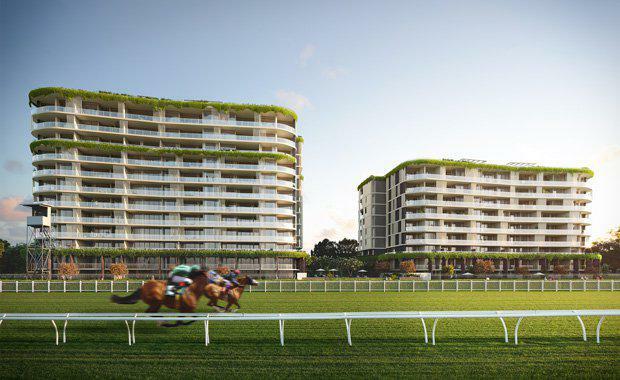 Mirvac has announced a partnership with clean energy provider, Evergen, to bring an innovative solar offer to future residents of Ascot Green, the $950 million joint development with the Brisbane Racing Club at the Eagle Farm Racecourse. This pioneering sustainability initiative will see solar panels and batteries installed on the rooftop recreation deck at the nine-storey Ascot House apartment building, connecting directly to a number of apartments, allowing these residents to reduce their electricity bills by up to 70 per cent. Manager of residential in Queensland, Warwick Bible said that with rising energy prices Mirvac is focused on providing all its residents, either in an apartment or in a house, with the best energy saving options available. “We are very pleased to be able to offer individual solar energy solutions to apartment residents which will significantly reduce their personal energy bill,” he said. “Brisbane is the ideal location to pilot the ground-breaking sustainability project, given its average of almost 300 sunny days. The initiative is the brainchild of Hatch, Mirvac’s internal innovation program, which uses customer insights to drive innovative ideas in the property space and then brings them to market – from concept through to launch. Group general manager of innovation Teresa Giuffrida said the project contributes greatly to Mirvac being a pioneer in sustainable initiatives and provides much needed insight into what home owners are searching for. Stage one of Ascot Green comprises two towers, Ascot House and Tulloch House, each of which contains a selection of one, two, three and four bedroom apartments. Ascot House is currently under construction with completion scheduled for mid-next year. 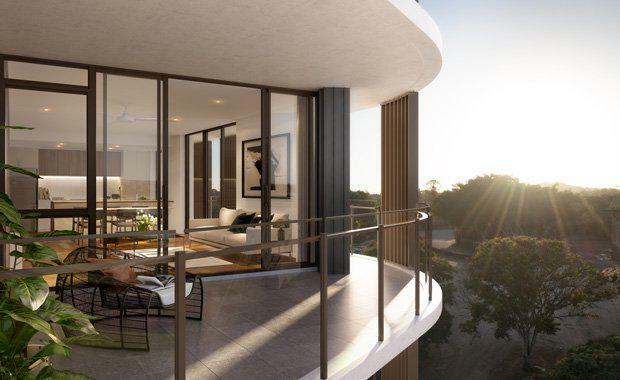 Apartments at Ascot House are now selling priced from $495,000 to $2.03 million and range in size from 88 square metres to 349 square metres.